You have a web site. People are subscribing to your list. 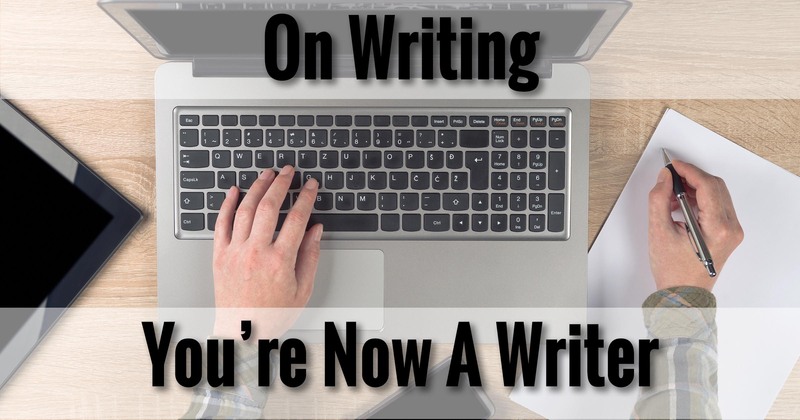 You’ve committed to publishing something regularly. Seriously, this is huge, and I want you to give yourself a pat on the back for having reached this point. The vast majority of folks who set out to build an online presence never get this far. You’re already head and shoulders above the crowd. And then … someone calls you a spammer. There are as many definitions of spam as there are email senders and recipients. Let’s start with an excerpt from the Wikipedia article on spamming, which refers to spam as “unsolicited messages (spam), especially advertising“. Seems simple enough. I think we’ve all seen examples of unsolicited messages, and especially advertising. Spam: any email message the recipient doesn’t want to receive. That’s a pretty broad definition. One could argue just about any email could be considered spam at the mere whim of the recipient, even if technically it isn’t. Whatever you think is spam is completely and totally irrelevant. It’s your recipient’s reaction to what arrives in their inbox that defines what is and is not spam. It’s their finger hovering over the “This Is Spam” button, not yours. Just because they opted-in by confirming their subscription doesn’t mean that they can’t, or won’t, mark what they get from that subscription as spam. Yes, they said they wanted your email – they even jumped through some hoops to get on your list – but if they think what you’re sending is spam, that’s exactly what they’re going to call it anyway. Spam: any email message that the recipient doesn’t want to receive. Note the definition again. The recipient is in complete control. So how can you possibly not be labeled as a spammer if your recipients are going to mark your messages as spam anyway? Note that I said that they can mark your messages as spam, not that they will. It’s actually very simple: each message you send needs to be something they want. Tell people what they’re signing up for before they sign up. Give people what they signed up for. In fact, there’s a 4th step: give people more value than they expect. The problem is that when we start adding more – even if we think it’s a “good” more – we are, in a sense, violating the implied commitment we made when we told them what they were signing up for. For example, let’s say you sign up for the Ask Leo! On Business email list. My implied commitment to you is that you will receive the full text of articles as they are newly published on the site. That implied commitment also includes the idea that the articles I publish on this site will be on the topic of building an online presence, including web sites, mailing lists, and more. In fact, the Table of Contents for the site is, in a sense, an implied commitment itself: these are the topics you expect to hear about. Now, it should be obvious that if I suddenly go off the rails and start sending you ads for body-part-enhancement drugs, I’ve pretty clearly succumbed to the dark side, and I have indeed become a spammer by anyone’s definition. I’ve violated my commitment and your expectations. The real problems, however, are in a much grayer area than that. I start talking about what computer you should use in your business? Every other mailing becomes a promotional mailing for one of the sites or services I recommend? In addition to the content, I start putting small amounts of advertising into the mailing? I start promoting my own book or online course on the topic? Each of those could be viewed as a deviation from the original commitment. Each of those could be something that fails to meet your expectations. Each of those could get me labelled a spammer. It gets worse. What if…. My articles become twice as long? My emails get sent twice as often? I say something that you vehemently disagree with? Each of those things, and many others, can – heck, will – cause at least a few subscribers to hit the “This is Spam” button. There is no magic formula. The best you can do is stack the deck: make a clear commitment and do your best to meet your readers’ expectations. I take that back. There actually is one magic formula. Everything I’ve said really boils down to one thing: treat your readers with respect. Email them what they asked for, when they asked for it. Remember that these are people on your list, not email addresses. Perhaps give them opportunities to choose more when it’s appropriate. One example might be how I announced the Ask Leo! On Business site and mailing to my more general Ask Leo! Newsletter. But don’t ram what they didn’t sign up for down their e-throats. The “golden rule” applies. Treat your subscribers as you want to be treated. Perhaps even better than you want to be treated. But THERE’S SOMETHING THEY REALLY NEED TO KNOW!!! One of the issues I have – often with not-for-profit organizations – is that they have a message or a story that they really, really, desperately want people to hear. Often that message is incredibly compelling or moving or, yes, even incredibly important. So they send it to their list. Unfortunately, it’s often a list of people who signed up for something else entirely. For example, perhaps you’re responsible for donor outreach at a zoo. One of your mailing lists is a monthly look at all the latest cute pictures of new arrivals and interesting animals. Then your organization finds out about new legislation that will adversely impact your operations in some way, and you want to let your supporters know. So you send it to this list. The result? People who signed up for cute animal pictures get an out-of-cycle and off-topic political message. Talk about not meeting expectations! And yes, as much as they might love you or your organization, some people will mark that as spam. And they’d be absolutely right. This was not what they signed up for. Make sure that everything you send meets your commitment and your recipient’s expectations. Anything else, and you’re risking the health of your list. What’s this “health of the list” thing all about, anyway? What does it matter if some people get annoyed and mark your message as spam? Simple: it can affect your ability to be seen by everyone else. One or two people marking your email as spam is probably no big deal. Less than 0.1%, for example, is probably nothing to worry about. Some people don’t get it, some people think it’s a safer way to unsubscribe, some people just miss the “Archive” or “Trash” button and hit “Spam” by mistake. It happens. But if you start getting too many, it impacts something very important. It impacts your reputation. And reputation is one of the largest factors email services use when they decide to place your message in the recipient’s inbox, or their spam folder (or, in some cases, whether to deliver it at all). We’ve talked about reputation already. For example, you shouldn’t be sending messages to your list from free email services. Since so much spam originates there, those services carry some amount of negative reputation, meaning your email is less likely to be delivered as intended. You have a reputation. Actually, you have several. The email address you send from, the email domain you use, the email service you use to send your mail, and even the servers themselves all have individual reputations. Each can be negatively impacted, to some degree, when a recipient of your email hits that “This is Spam” button. Get a bad enough reputation, and more and more people will stop seeing your email. Do everything in your power to make sure your mailings are something they expect and want. Respect the people on your list. Do that, and they’ll respect you in return. I have never spammed, but I have had someone mark my emails as spam. I have heard that if you spam, the domain that is pitched in your email may be shut down. Is that correct? Thanks. Not sure what you mean by “pitched”. The bottom line is that, yes, if you become an egregious enough spammer you can lose your email account. Don’t spam. does that have to happen thousands of times to lose the email account? Or just a small number of times? I thought, because your domain http://www.mydomain. com was in the email, that you could lose it too? Nothing is simple when it comes to spam and spam reporting. Depending on the specifics of the situation – everything from the domain being used, to WHO is reporting as spam, to how many times it’s being reported, and to whom it;s being reported … ANYTHING could happen. Yes, you could lose your email account. Or not. Yes you could lose the reported domain. Or not. Your email could stop getting delivered, or not, by several major email services or just a few, or none at all. Or nothing could happen at all. The whole system is intentionally vague so spammers have a harder time gaming the system. The bottom line remains: don’t send spam. and was concerned about people clicking spam when it is not. Just remember Leo’s main point, Leonard, it isn’t up to you to decide if it’s spam or not. 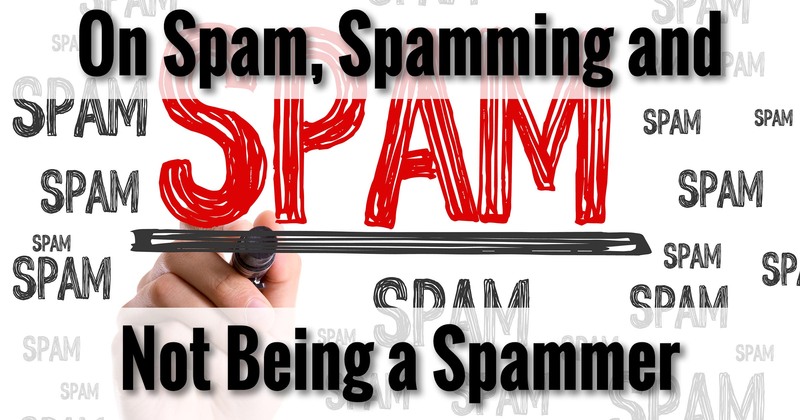 You say “I do not spam” but you also say “doing a ton more email marketing” … someone who does a ton of email marketing can certainly end up being seen as a spammer. It’s like the fraternity member or sports stud who says, “I do not ___, they like my attention.” Its not up to the guy to define the very negative word. The woman has a better understanding of unwanted behavior. If you say, I do not spam, but I do a ton of e-mail marketing, do think about it. You may be buying someone’s marketing services, but if they send spam, you will get blamed for it by enough people that it can hurt you. Even if you pay for ads in something that people request, if your ad isn’t as interesting as the content of the material that the person normally receives, you might be seen as spamming. Remember that some of us have decided NOT to shop at some sites based on the mail that we receive.